A lot of people say to me " that sounds like a lot of hard work" when I tell them that DJ is on a gluten and wheat free diet. At first I thought it was going to be hard, as you do have to look at ingredients in everything. 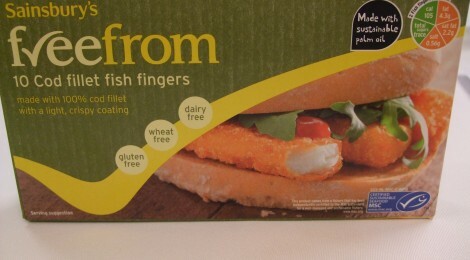 I honestly could not live without the The Free From range at Sainsburys (also stocked in Tescos and some Asdas) They have a great selection of fish fingers, chicken nuggets, pies,pasta, breads, pizza, and all condiments and goodies. They are a little more expensive but its a price I am willing to pay to help DJ. I have seen such a huge difference in him since taking him off wheat and gluten and cows milk. Going out and about can be a challenge, so you just have to make sure you are prepared. 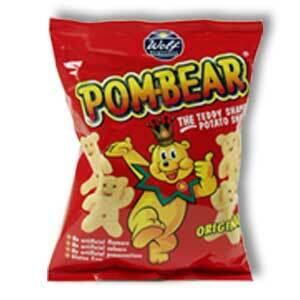 Pom Bears are gluten free and have no preservatives and there only a pound for 6 packs in Asda. 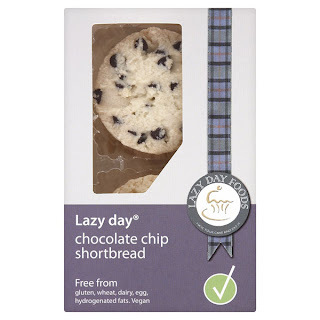 One thing the gluten and wheat free section are not great on is cookies and cakes, you can get some good cakes and cookie mixes from the free from range which i would suggest. I also came across these yummy chocolate chip cookies by lazy days which is by far the best out there. They also do different types as well. I have the whole family on gluten and wheat free now as its just easier. There is gluten in a lot of products though so make sure you do look at the packaging. For example soya sauce and stock cubes contain gluten so make sure you get some without.